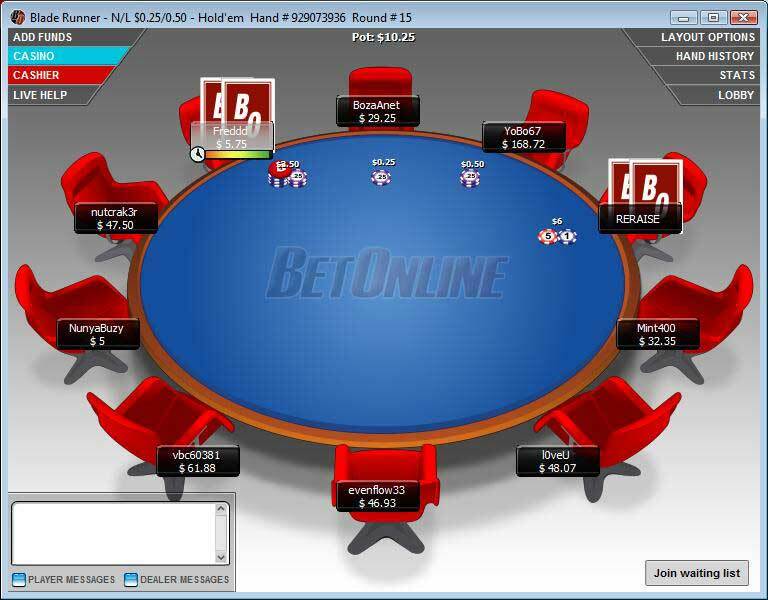 The BetOnline Poker Room Download is a quick and seamless process. After downloading the small install file, it takes only a short time to install automatically to the folder of your choice. The software will automatically update before you log in for the first time, ensuring that you aren’t missing any new features or security updates. The lobby is simple and easy to navigate. 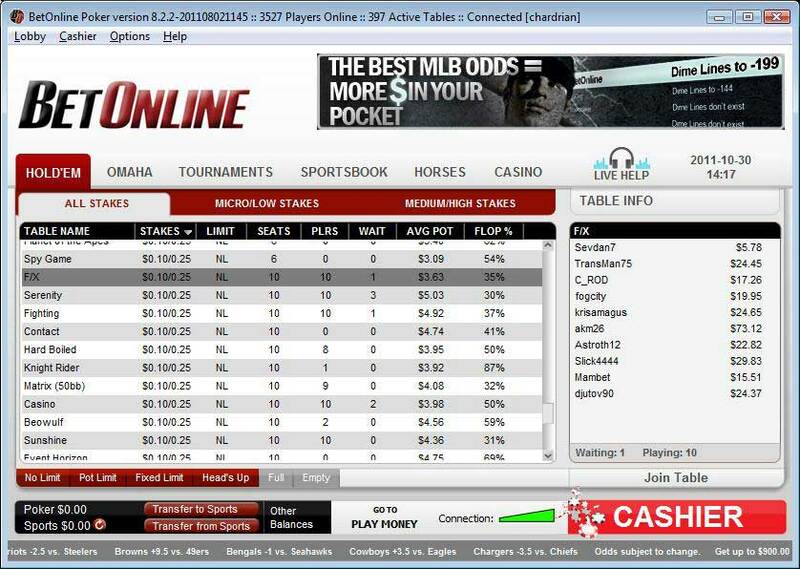 Tabs along the top allow the user to easily browse Holdem cash games, Omaha cash games and Tournaments. There are also tabs for quick access to their great sportsbook, horse betting and casino. Game tables can be filtered using toggle buttons at the bottom of the lobby. Tables can then be sorted by any of their displayed data, such as % of players seeing the flop, average pot size and more. This allows the user to quickly find their favorite, and most profitable, games. The number of tables that can be played at once is theoretically unlimited. There’s an easy tile windows shortcut which will automatically resize all game table windows so they fit on one monitor with no overlap. Table options are rather limited. There is an optional 4 color deck, and the dealer/player messages can be filtered off and on. The basic options of auto muck hand, sit out next hand, wait for big blind and auto post blinds are present, but very little else is available. There are no options to turn off animations, change felt/card colors or customize the tables in any way other than size. The graphics themselves are quite basic but hopefully they will be improved in the near future. Players’ bet amounts are sometimes not visible when a large bet is made, due to the chip graphics appearing on top of the text. The color scheme is a little bit hard on the eyes and the fonts used are quite small. The BetOnline software does not have waiting lists for cash games. This isn’t necessarily a drawback, as it encourages people to sit and start new games, rather than waiting (without playing) on a long wait list. The result is that even though the traffic is not yet very high, there are quite a few games going at any given time at an assortment of limits and game types.